Separation is something we fear whether it's separation from a child, a parent, a sibling, a spouse, a friend, or from God. Jesus endured separation from God by becoming a human and by going to the cross. Because of Jesus' sacrifice, we can know we won't have to ever be separated from God's love. 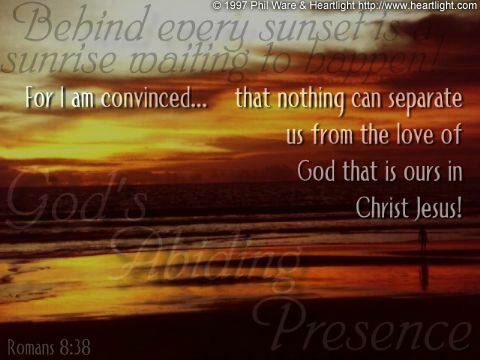 He bore the separation so we would never have to fear it!